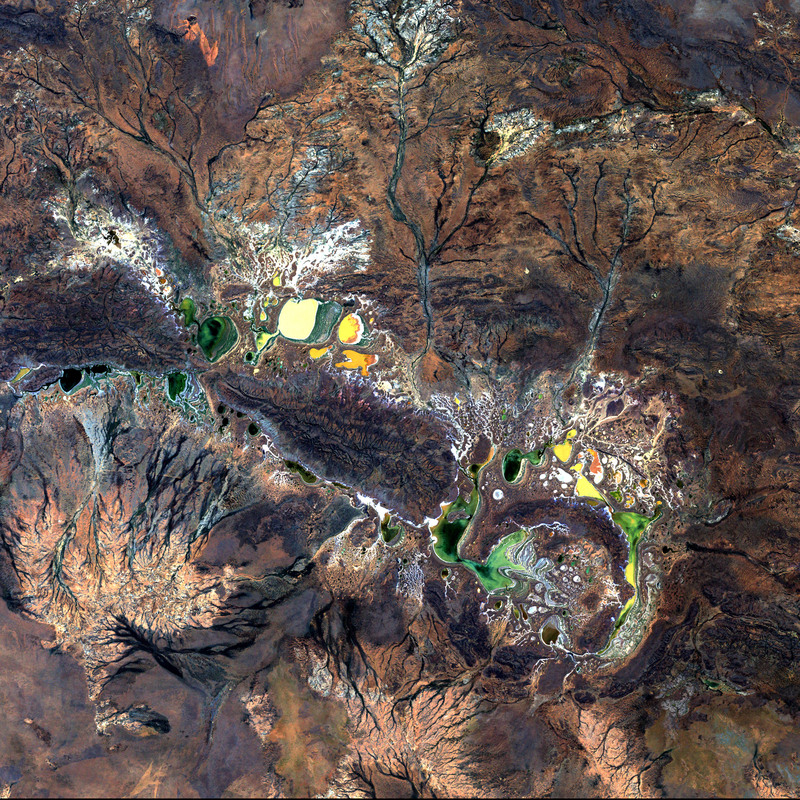 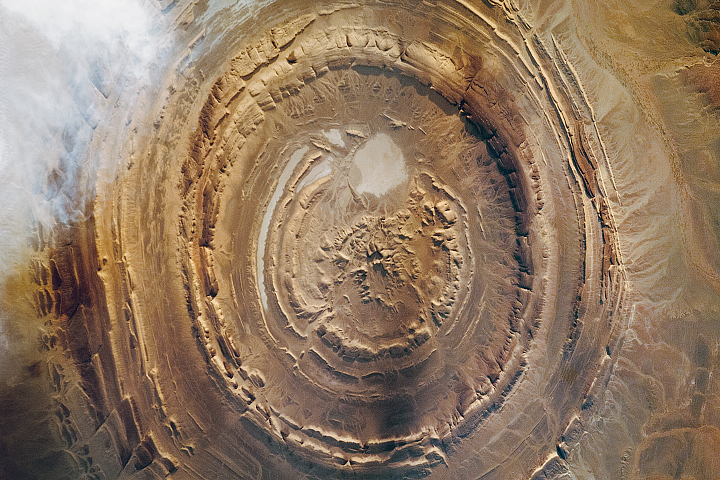 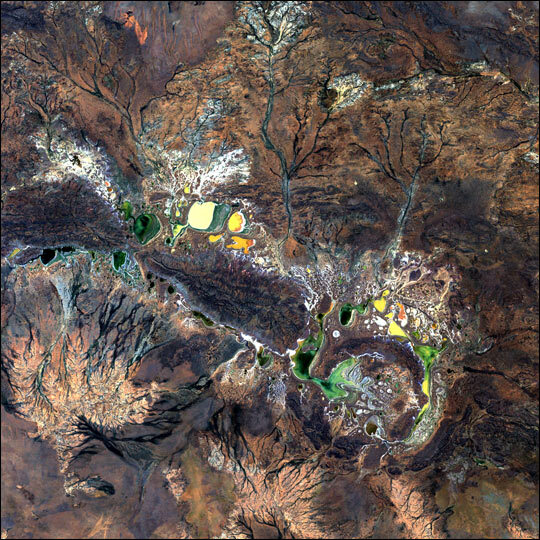 Resembling splotches of yellow and green paint, salt-encrusted seasonal lakes dot the floor of Western Australia’s Shoemaker impact structure. 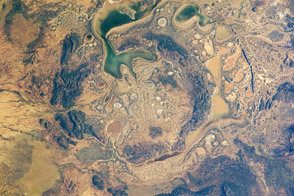 The structure was formed about 1.7 billion years ago and is currently the oldest known impact site in Australia. 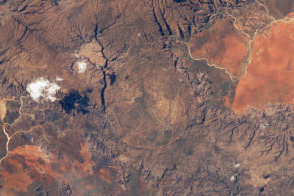 This image was acquired by Landsat 7’s Enhanced Thematic Mapper plus (ETM+) sensor.